Nicholas A. DiNubile, MD is an Orthopaedic Surgeon specializing in Sports Medicine in private practice in Havertown, Pennsylvania. He is the bestselling author of the FrameWork series of health and wellness books and is also Executive Producer and host of the award winning national PBS television special, “Your Body’s FrameWork.” Dr. DiNubile has served as Orthopaedic Consultant to the Philadelphia 76ers Basketball Team and Pennsylvania Ballet. He was appointed Special Advisor to the President’s Council on Physical Fitness and Sports (1st Bush Administration with Arnold Schwarzenegger as Chairman). He has advised two United Stated Presidents on matters of health and health policy, and has cared for numerous celebrities and high level athletes. He is the Vice President of the American Academy of Anti-Aging Medicine (A4M), Chief Medical Advisor for the American Council on Exercise (ACE) and is on the Global Advisory Board for the International Sports Hall of Fame. Dr. DiNubile was a contributor to the Surgeon General’s Report on Physical Activity and Health and is Executive Editor of the Physician and Sportsmedicine Journal. Dr. DiNubile is a Clinical Associate in the Department of Orthopaedic Surgery at the University of Pennsylvania, and Chairman of the Department of Orthopaedic Surgery at Delaware County Memorial Hospital. He is a lead spokesperson for the American Academy of Orthopaedic Surgeons and the American Orthopaedic Society for Sportsmedicine. 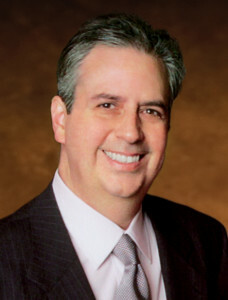 Dr. DiNubile has been consistently chosen in “Best Doctors in America” and is also named a US News & World Report “Top Doctor.” He received the prestigious HAFL (Healthy American Fitness Leaders) Award and was also inducted into the National Fitness Hall of Fame as well as the Philadelphia Sports Medicine Hall of Fame. He blogs for Huffington Post in their Healthy Living section and can be heard regularly on WIP Sports Radio. He has been featured on Good Morning America, The Today Show, CNN, HBO Real Sports, National Public Radio, and in the New York Times, the Wall Street Journal, the Washington Post, Newsweek, and numerous other publications. Over the years, he has served on the advisory board of every major fitness publication including Muscle & Fitness, Men’s Health, Men’s Fitness and Shape magazines. Through his extensive media work, he is one of the most quoted doctors in America.